There are no individual tests to confirm a diagnosis of Autism Spectrum Disorder (ASD) - a diagnosis is instead based on the range of features your child is showing. The type of assessment carried out often depends on things such as access to additional information, for example nursery or school records. A comprehensive assessment for ASD may or may not be required. If one is carried out, this will involve a number of steps as below. Any existing information about your child's development, health and behaviour may be sought from relevant people, such as your child’s doctor, nursery or school staff. 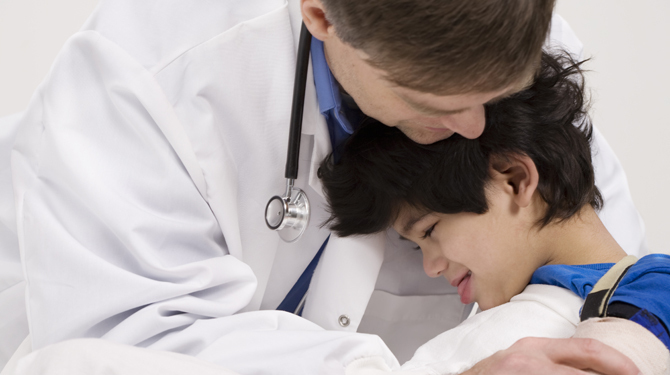 A detailed physical examination will be carried out to rule out possible physical causes of your child's symptoms, and some children may be referred for further tests, such as testing their blood for genetic conditions with similar features to ASD. You may be asked to attend a series of interviews so a detailed family history and the history of your child's development can be drawn up. Your child may be asked to attend a series of appointments so that specific skills and activities can be observed and assessed. This is known as a focused observation. Focused observation looks at language, behaviour, the pattern of your child's thinking and how they interact with others. It may be noted that in most cases, parents notice the symptoms of Autism Spectrum Disorder (ASD) when their child is around two or three years old. Some people with ASD grow up without their condition being recognised. But it is never too late to get a diagnosis. Some people may be scared of being diagnosed because they feel it will lower other people's expectations of them. But there are several advantages. Getting a diagnosis of ASD will help people with the condition and their families understand ASD and decide what sort of support they need. See your doctor if you think you may have ASD.